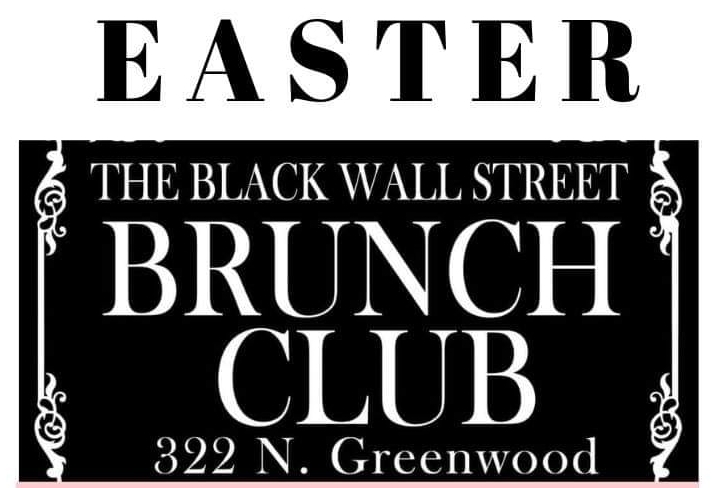 The Black WallStreet Brunch Club is back with all the mouth-watering recipes you’ve been waiting for. We are kicking off this series of Brunch Club greatness on Easter Sunday in partnership with Juice Maker Lounge bringing you the best in entertainment. Tell your friends, family and your church family to enjoy brunch filled with all of your favorites including Chef Starr’s award-winning grits n’ greens, strawberry honey butter biscuits, quiche, award-winning fried chicken, rib-eye roast and so much more! And yes! Mimosas and loaded Bloody Mary’s are always on deck. Share this on your social media, tag Starr and you will be entered into a drawing for free brunch. We have some exciting announcements so stay connected. Reservations strongly suggested and early bird tickets available as well. “WE MAKE AMERICA BETTER WHEN WE AID OUR PEOPLE"
© The Oklahoma Eagle Newspaper. Since 1921.